Jack Jill Interview Member Trevor Probandt. 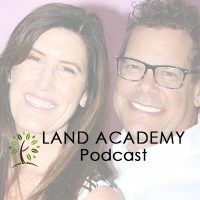 Successful Land Investors member checks in with Jack and Jill a year after joining. Jack Butala: Welcome to the Jack and Jill show today. Today, we have Trevor Probandt. I’m not sure if we should use his last name from Texas. Jill DeWit: Too late now. Jack Butala: One of our original members actually, and we’re checking in with him, I guess maybe, a year, year-and-a-half afterward, to see how he’s doing. Trevor, welcome to the show, man. Trevor Probandt: Hey! How’s it going? Jack Butala: Excellent. Give us a little bit of background on how you started and why. I know your family’s been in the business and where you are, then and now? Trevor Probandt: My family started buying and selling. I grew up on a cattle ranch outside of San Angelo, Texas. About 4,800 acres, and it was just me and my brother, out in the middle of nowhere. On the cattle ranch, and all that other stuff. Anyway, my family’s been buying, selling, and basically buying and subdividing ranches since, I guess, the early ’90s. We started, I think Dad and them started, it was outside of Big Lake, Texas, and things like that. We done anywhere from … I think the biggest one’s been 12,000 acres and then all the way down to about 1,000. Then, actually, right now, we just sold three separate parcels of a deal down in Sutton County, which was three sections that we bought and split all that up. It took a little while. Before we do the subdividing, depending on the county, even, I mean, the smallest parcel that we set up, I believe is, 60 acres. Even that, depending on the county, you still had to go in front of the County Commission Board and all that other stuff to get it approved. They like to change areas and things like that. You go out there, get the surveyor out. Make sure of everything. We actually found out we had 80 extra acres that we ended up buying because the old survey was not correct and everything else like this, but this was from a long time ago. We’ll be dang near paid off. I think we got one more little parcel to be bought and then everything else is profits. I think we’re looking at making about $900,000. Jack Butala: I’ve got to ask you, Trevor, a guy like you. Your family. You’re in the business and stuff. You sought us out and signed up as a member. 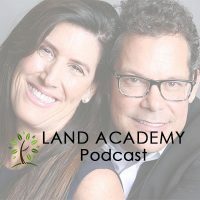 Is there some Land Academy benefit that you got out of it? Trevor Probandt: Here’s the deal is, we had sold another one. I’m trying to remember where it was at. Then, Dad and I were like, “Man, it’d be cool to be able to make cash flow off of land.” Dad was, “Well, they’ve been doing it out in the west sections, way West Texas, since dirt was new.” Instead of buying and doing land leases and things like this, since Manhattan. I mean, it’s been around forever. Then, the whole Jack deal. I’ve also owned a small interest, a real small interest in a couple of different oil wells and things like this, the family’s owned and all that. I’ve gotten those letters. They offer you a number on a percentage of whatever it is on these wells. You know what I mean? Sometimes, it’s higher. When it rolls up, and sometimes, it’s lower. I’m, “Hey! That makes sense.” I was like, if nothing else, there’s no tire kicking because you either get it done or you don’t. If they’re serious, they’re going to call you. Even if you’re not exactly on, they’re going to be real close. I’m a pretty straightforward guy. This makes perfect sense to me. I actually geek out on … My dad has been a real estate appraiser. We’ve always kept full-time jobs and all the other stuff. I don’t know. We just like working a lot, but anyway, my dad’s a real estate appraiser. I’ve been able to look. I run comps. I do comps. I done all kinds of stuff. I was like, man, I enjoy that part. It just made perfect sense. The whole selling on the internet was the weird part for me. I was, “Why would anybody want to buy something if they’re not going to go look at it one way or the other?” I started buying cheap stuff in Navajo County. I think I sent out like 1,600 offers on 40 acre deals in a random area of Navajo County, which was the cheap stuff, the expensive stuff, all this other stuff for like five grand. I realized that some of it on the north part of 40 was not, but I bought a couple in Snowflake area, that, I mean, they literally blew off the shelf. Before I really even had a website or anything, I just put it on Craigslist. I sold them for way too cheap, actually. Whenever I found out, one way or the other, and my phone melted. I was, “I guess there might be something to this.” Anyway. It’s an interesting thing to think that people would buy something. A lot of people buy it sight unseen. They camped out. They camped out for two days. They sent me pictures of them camping out and all the views of the Spanish Peaks and all this other stuff. They called me. They were so excited. Two days later, they paid for it on credit cards. Now, I’ve gotten a couple of thank you emails. I think I posted one of them. Trevor Probandt: They got great big plans for it. That makes it worthwhile. I mean, it’s not all sunshine and roses. Sometimes, some of the people working on the retail side will call you and the tire kickers and all this other stuff. You’ve just got to realize, you’ve got to be able to understand what a real buyer is and that just takes practice. Jack Butala: It doesn’t seem like it’s possible for you to fail at this. I would love for you to … There’s always a handful of people in our group that they’re stuck somewhere and they can’t get past it. What’s your advice to them? Trevor Probandt: Here. I was actually thinking about this. Everywhere … I’m driving to an Arizona elk hunt right now. It’s going to be a 12-hour drive. With all of this, what the big deal is, is the same thing what we’re talking about. It’s buying something that they can’t see. Like me, I’m halfway crazy. Like, I don’t care. I’m going to fail. It’s okay. I’m going to pick it up. It’s okay. It’s fine, but a lot of people aren’t like that. I was like, we can all be kings or queens or whatever you want to call yourself of your own little area. Everywhere you go, everywhere you drive, there are literally millions-and-millions of dollars’ worth of equity. Jack Butala: Exactly! It’s so hard to convey that. You’re exactly right. Trevor Probandt: Yeah, exactly. If people would just visualize that on the next drive that you take, even to go get pizza, or go to your house, or go to the office, or go shopping or something like this, I want you to look. I want you to think about every piece of dirt or whatever it is, parking lot, to sky rise, to farmland, or whatever it is. Equity everywhere. Your only job is to find that equity. That’s all it is. It’s a game. It’s a fricking’ game. You know what I mean? I think another big deal is people think you’ve got to have $100,000 in the bank. You’ve got to do all this other stuff. If you will commit yourself to the skillset right now, believe me, you’ll find the money. That’s not a problem. It’s not a problem. It doesn’t have to be desert dirt or one way or another or anything else like this, it can be something in your back yard. You can go. Like what I’m doing right now, finding all these buyers for these higher end properties and all this other stuff. You can obviously Real Estate Pro, you make it a million times easier. It’s click, click, click. Find everything. Find a buyer, one way or the other. However, you can also go to the title company in your neck of the woods. You know what I’m saying? Or, you can go to the Assessor’s Office and you can find out who bought everything. They’re going to give you a great big old list of stuff, right? Trevor Probandt: You’re going to find, you’re going to start seeing these LLCs that are on everywhere. Go call them. Knock on their door. You know what I’m saying? Like, you’ve got to have some guts to do that stuff, but you know what? Those people are going to love you because you’re going to bring them the deals. One of my mentors, Mike Flaherty, was L5 Real Estate out in way West, California. He’s an unbelievable guy. Fantastic apartment guy. He owns, I think, like 6,000 units. He’s always talking about a blue ocean and a red ocean. He’s talking about if you’re in a blue ocean, I believe it’s behind a book or something like this. He’s like, “If you’re a blue ocean like this, everybody. That’s the stuff you see on the MLS. That’s the stuff that you see with a broker.” It goes on all this other stuff. What you all are teach is basically how to be in the red ocean or the stuff that no one else has access to. If you can do that, you can write your own check. I mean, it just depends on how high you want to go with it, your threshold is. Jack Butala: You mean looking at things differently or you mean top market deals? Trevor Probandt: No. You’re the one that controls the deal because you’re the one that was there first, right? Just like you always say. Anytime you control a deal, that’s the key. I mean, you know that, especially coming from the commercial real estate side. Whoever got the deal is the one with the money. Jill DeWit: I almost feel like we create the deal sometime because we’re reaching out to people that haven’t even got to that point yet, but they didn’t know how. Jill DeWit: That’s the best thing. That’s the key. That’s how they get their first. Trevor Probandt: Absolutely. That’s the biggest key. Absolutely. Jack Butala: For a guy like you, and, quite frankly, for people like us, all this makes so much sense. It’s, I think, you just have to do it. You have to not be afraid. Trevor Probandt: Yeah, but also, again, you came from a real estate background. You know what I’m saying? It’s hard for people to understand if they’re coming from Ground Zero, but if you just think about everybody owns this dirt. Everybody owns this house or one way or the other. Life changes all circumstances. The same thing with this deal in Sutton County that we’re already selling the things like this. A family, guy’s gotten older. No one else wants it. Time changes all circumstances. If he’s got that letter, that offer, like you all do it, you know what I’m saying? Do it that way, like I said, you’re the one that’s going to get the phone call. Jill DeWit: That’s funny. I think the universe knows that there’s money to be made in real estate, but I think some people think that it’s too late or they’re not going to be successful. Isn’t that interesting? We all know just dive in at any moment. There’s stuff still there. Jack Butala: I look at it like fishing. Sometimes you go fishing and you get nothing. Sometimes you just know it. Sometimes, but you never sit and question fishing. You just question what happened that one day. Trevor Probandt: There’s not 130,000,000 fish in whichever lake that you’re in anyway. You know what I’m saying? I mean, it’d be just like Luke. Just send out more mail. That’s all there is to it. I mean, just send out more mail and you’ll be fine. Another thing is, I think a lot of people like the ambiguity of whenever you talk about real estate, it’s such a huge, broad thing. That’s what’s so cool around the raw land itself, is you can understand that. You’re not looking at a perceptive. You’re not going through 20 rent rolls and making sure everything’s verified. You’re not going through any of this stuff like that. You’re usually all this cheaper land you’re working with just regular folks that own it. They’re looking to get rid of it. It’s a great primer, but the cool thing about it, you can do anything you want to. Whether you use this to buy houses or you use this to buy apartments or whatever you want to, I think that’s the cool thing about it, but that’s the whole reason that there is value into all this stuff, is because it’s an imperfect market. If it was a perfect market, no one would be in it. It’s not like you’re going out there and you’re buying oil for $25 a barrel and being able to turn it around. It doesn’t work that way. The stock market or anything else like that, there’s no secrets. Now, that’s where the heart comes from. Like you’re always talking about, and that’s the beautiful thing about it, but I think that’s a big problem that people don’t like about it is they want to be told, “Here, here, here, here, here.” That’s fine and dandy, but again, that’s the beautiful thing about it. What you need, whether you’re a reef, or whether you’re an individual investor, when you’re buying an apartment complex, is a completely different. It’s the same thing with dirt. What greater return of the money do you need to have on that? That’s all this is. It’s just a vehicle. I think that’s hard for people to understand and get their minds wrapped around. Jack Butala: Well said. You don’t lack enthusiasm, Trevor. Trevor Probandt: My wife, she gets so tired of me. Jack Butala: Tell us where you are right now. What you’re about to go do. Trevor Probandt: I’m in Deming, New Mexico, right off the interstate, looking at the Florida Mountains, but I’m heading to Arizona for a 10-day solo archery elk hunt. Jack Butala: You’re just going to spend 10 days by yourself? Trevor Probandt: I love it. Jack Butala: I’m so jealous I can’t describe it. Trevor Probandt: Man, you’ve got an invitation. Any time you want to. Jill DeWit: You could go. Jack Butala: It would be so much better. Trevor Probandt: That’s all right. Is there anything else? I mean, is there anything else I can do to help? That’s another thing is, guys, I think a big deal too, is people go onto a lot of these forums and stuff. It’s just a lot of BS and especially what I don’t like, and I’m not going to name names or anything, but some of these forums, they’re so negative. They are so negative. That’s what’s cool about you all. Like, you can get ahold of Luke or you can get ahold of Mary. You can get ahold of any of these guys that are absolutely just killing it, way more than I am. You know what I mean? Things like this. Everyone is completely personable. You know what I mean? Trevor Probandt: That’s where … You actually have like 200 mentors or 50 or whatever it is. You know how hard that is to find? Trevor Probandt: I think that’s the biggest deal with anything that you all do. To be honest with you, I’m not on there as much. I don’t necessarily listen to all. I don’t go on all the calls on the time because I’m really focusing in on stuff. I had a bad problem with the shiny object syndrome. You all’s were talking about this. You’re talking about that. I’m, well, yeah, just send out 2,000 more offers at this. You know what I mean? You’ve got to walk before you run. Jack Butala: I know you want to get back on the road, man. I really appreciate your advice. Please send some pictures. Trevor Probandt: I don’t know how much advice it was. Jack Butala: Take some pictures and put them [crosstalk 00:16:18]. Trevor Probandt: For sure. Another cool thing is, my two boys are six and seven. They just shot their first deer this year on that flip that we’re doing down in Sutton within ten minutes of each other. Made great shots. We cooked it all up and all the other stuff. Trevor Probandt: It means, like I’ll always think of this deal, not just because of money or whatever, but also because being able to utilize it and stuff like this. I don’t know. I think it’s a really cool thing that you don’t necessarily get when you’re buying a shopping center or something like that. Jack Butala: We all love land. That’s why I started this. I love that whole outdoors piece of this and off-the-grid. I love all of those concepts. It’s really why I started buying land. Jill DeWit: Yeah. I love it. Jack Butala: Why do you love it, Jill? Jill DeWit: Why do I love it? Because I can do it from anywhere. Jack Butala: I’m not so much on the land thing. Jill DeWit: I do like it too. I mean, I’m not really one that will probably go pitch a tent or shot an arrow like you guys, but I do love the smell of the outdoors. When you call me because the campfire’s perfect, then I’m in. I will happily come out of that gorgeous Class A RV with my tea and join you. Jack Butala: That’s awesome, Jill. Trevor Probandt: Everybody’s got their own definition. Jack Butala: You’re perfect player worthy, by the way. Jack Butala: Trevor, thanks again. I hope to hear from you soon. Trevor Probandt: Yes, sir. Sounds good. You all have a great one. Bye, bye. Jill DeWit: You too. Thanks, Trevor.